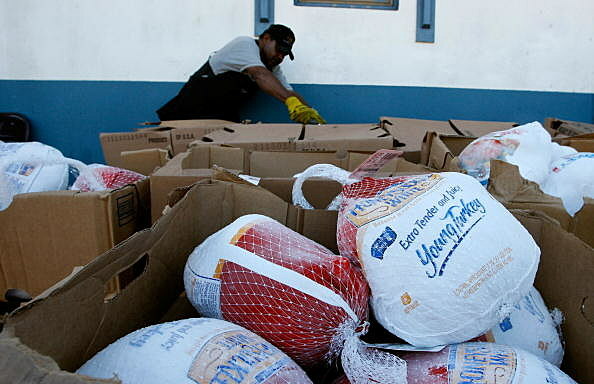 Can You Donate A Turkey To The Gallatin Valley Food Bank? Gallatin County residents in need this holiday season turn to the Gallatin Valley Food Bank...but only if people like you and me donate our extra resources. And I'm convinced that MOST of us can. As of this typing, the Gallatin Valley Food Bank needs 2,000 frozen turkeys to fulfill the requests of families in need this Thanksgiving. RIGHT NOW THEY ONLY HAVE JUST OVER 600!!!! This is what I like to call a fixable problem....and I love fixable problems. They're not arbitrary, they're concrete with a specific goal. SO - Here's what you do.....When you go to the grocery store in the coming days, please try to pick up an extra frozen turkey. And if you're able, maybe a few more things that go along with a good holiday dinner. Gallatin Valley residents need your help, now more than ever. The Gallatin Valley Food Bank is located at 602 Bond Street (located at the SE corner of Bond and Gold Streets, off of North Rouse) Bozeman, MT.